Years ago baby cow and a full-grown pitbull (small in comparison to the cow) lived on a fenced property near Crown Point Hotel. They were very good friends—sleeping, roaming, playing and doing everything together. Xenon Thomas, a young chef, would frequently see the unique couple as he drove by. The vision of the large baby cow lying down, with the pitbull curling up to sleep with him/her was endearing. True to his word, five years later, Xenon has opened Brown Cow, a unique restaurant in Crown Point (opposite RBC Royal Bank) and next door to Bambú Gift Shop & Café. “The cow is a barn animal and the concept in here is that of a cosy rustic barn,” Xenon says, alluding to the colour scheme, the wooden outdoor sign (with logo designed by his brother Andre), wooden palettes on interior walls, simple yet elegant wooden tables (courtesy Unique Furniture) and the rustic bark-framed mural of flora and fauna photographs. His mother, Rona Thomas, a guiding and supporting force within the business, reflects upon the spirit of the cow and pitbull who inspired it. She envisions Brown Cow similarly—as a serene place that invites an easy coming together of people, regardless of perceived differences. No matter who you are or where you come from, you will be warmly welcomed and treated with the same high quality and kindness. I can attest to the treatment. From the time I first stepped into Brown Cow (out of curiosity, to see what it was), I was welcomed by the glowing smiles of two young women elegantly dressed in black. I was unknown to them—someone stepping off the street on a Friday evening—yet their eyes glistened with the excitement some would reserve for celebrities. “Everyone who comes through that door is treated like a VIP,” Xenon says. His job as a medical consultant came to an end when, in 2003, a “Help wanted. Now open” sign outside of Club De Vega in Port-of-Spain caught his eye. He started there as a coffee expert (barista)—learning everything about coffee from scratch. When a Malaysian chef took a liking to him and invited him into the kitchen for a croquette, fate took another twist. 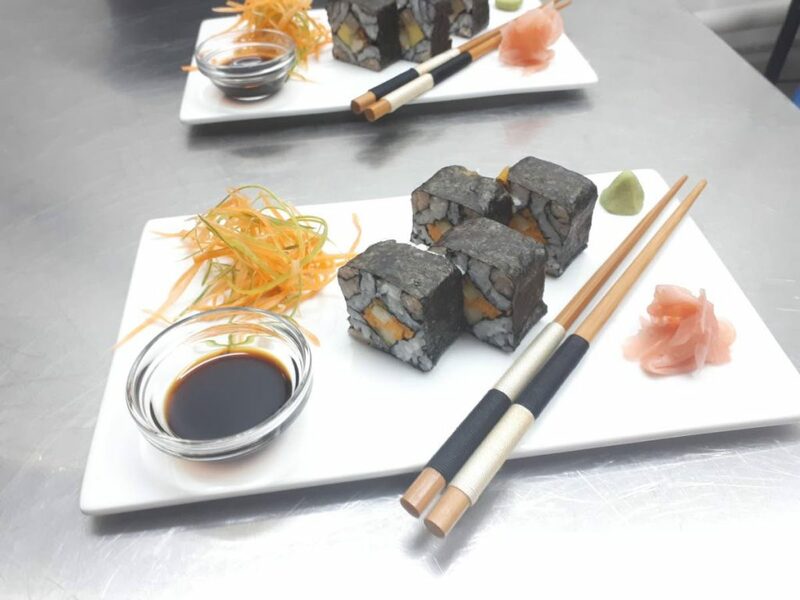 Over the years he worked his way up to the top at popular restaurants throughout Trinidad and Tobago (Laughing Buddha—Trinidad’s first authentic Japanese and fine dining restaurant, where he learned to cook Japanese food . . . Tapas Restaurant—Trinidad’s first authentic Spanish Fine Dining restaurant . . . Mangos (as head chef) . . . Carlton Savannah . . . The Lure . . . Magdalena Grand . . . Seahorse Inn . . . Crown Point Hotel . . . Villa Being . . . to name a few). An invitation to work as sous chef at the Magdalena Grand brought him to Tobago. Nine years later, his restaurant stands as a testament to his culinary devotion. 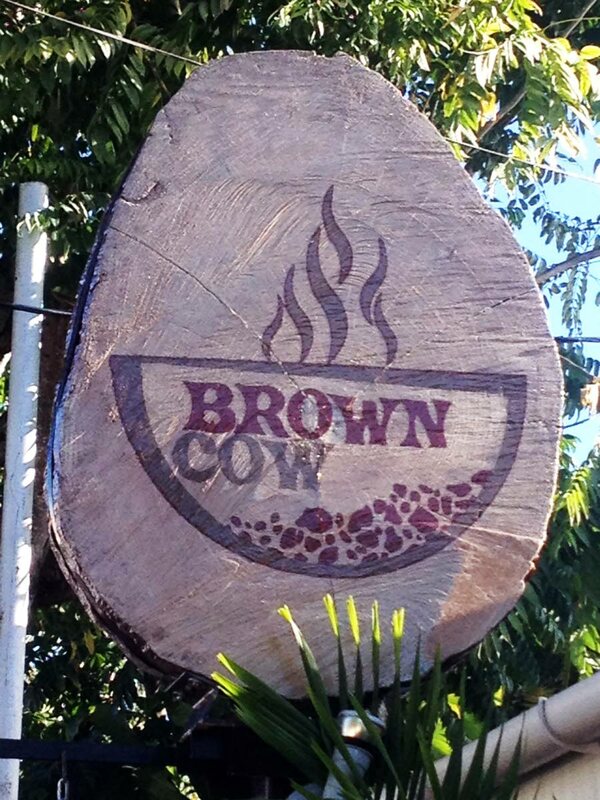 Brown Cow offers a unique experience, inviting the world to savour indigenous cuisines fused with international concepts and influences within a concept reminiscent of fine dining. With no bar license yet available, guests are invited to walk with their preferred choice of wine. The menu, poetic and gastronomically seductive, took Xenon four months to create. “Every single component of it I spent days working on,” he says of the self-crafted recipes. Herb Crusted Rack of Goat: Fragrantly marinated local goat rack crusted in mustard and herbs, resting on cauliflower & daahl puree, fit-weed potato confit & sauce curry-stew demi glace. Additionally, what Xenon wants for himself he also wants for his staff. SPECIAL: In February, love is in the air. Celebrate Valentine’s week at Brown Cow with special dishes and romantic giveaways. Reply to "Cow and pitbull inspire unique Tobago restaurant"